Andrew Findlay is an award winning freelance journalist who contributes to many local, regional and national publications. His journalistic interests are many; profiles of high tech start-ups and entrepreneurs, investigative environmental stories, adventure sport and travel narratives, personality profiles and general human interest topics. His contract writing and editing services are employed by various BC public relations firms involved in tourism marketing and other sectors. One summer afternoon riding the Elk Chair for an afternoon lap on the mountain bike trails I watched as a black bear sow and two cubs, browsed peacefully for huckleberries below the lift line. 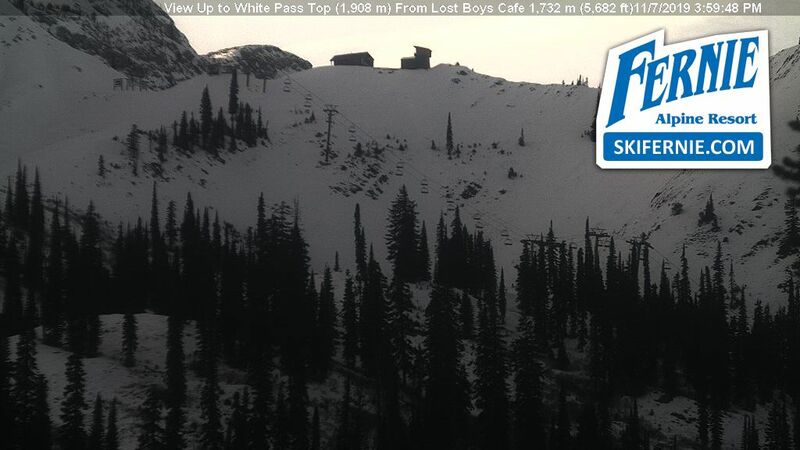 At Fernie Alpine Resort you’re never far from raw nature and mountain adventure. It is the quintessential resort for summertime exploration where you can spot deer, moose, bear and other wildlife in a natural setting, hike on alpine trails waste deep in wildflowers, explore windswept ridges from mountain peak to mountain peak and test your technical mountain bike skills on steep trail or ease into some flowy singletrack. Or perhaps, you’ll simply go in search of fossils with your kids. 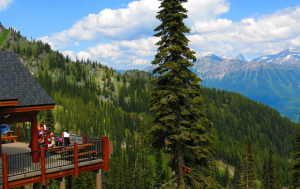 Enjoy breakfast and an espresso in the resort village, then load the Timber Chair, your ticket to adventure as it shuttles you from the resort village to tree line and the trailhead for numerous hikes ranging from hour long outings to full-day ridge top rambles in the beautiful Lizard Range. Families can opt to walk among the Indian paintbrush, mountain harebells, cinquefoil and other flowers towards the wooden platform overlooking the Sand Creek Valley, and descend to a field of massive boulders known as the Mammoth Droppings, before circling back to Lost Boys Cafe for lunch with an astounding view over the Elk River Valley. Ambitious hikers might choose to scramble to the height of land and traverse a scenic limestone ridge, over the rounded hump of Elephant Head and on to tag the summit of 2134-metre Polar Peak, the highest point within resort boundaries. And the even more ambitious and experienced hikers may want to tackle the Mountain Lakes Trail, otherwise known as Heiko’s Trail. Built by Fernie legend Heiko Socher, founder of Fernie Alpine Resort way back in 1964, this 21 kilometer trail between Hartley Lake Road near the resort and Island Lake Lodge crosses two mountain passes and has everything you want in a mountain hike – meadows, waterfalls, caves, snowfields, soaring rock walls and more meadows. On any of these adventures, you might even find a fossil. Fernie is famous for them, especially for the legendary jumbo ammonite measuring 1.5 metres wide, discovered in 1947 in the Coal Creek Valley across the Elk River Valley from the resort. 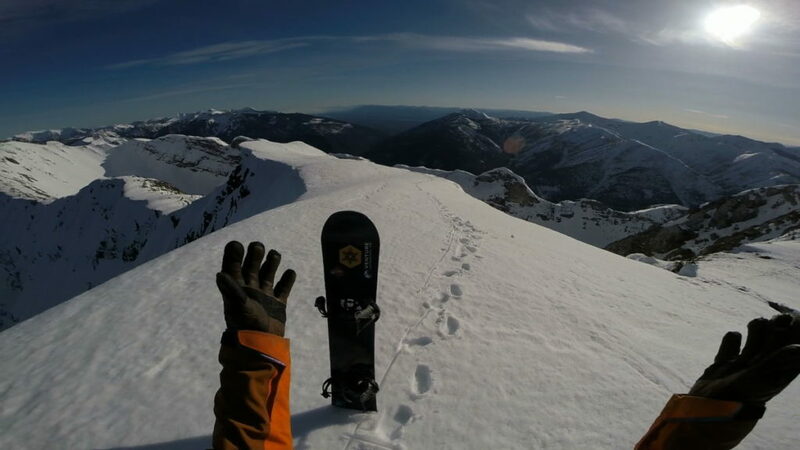 On mountain, you can visit another Fernie legend, Nature Bob in the Interpretive Centre at the top of the Elk Chair, go on a guided hike to bone up on local flora and fauna, or take a short stroll to see an equally impressive ammonite fossil. Lift-accessed mountain biking? You bet. Elk Chair offers up a range of easy to advanced trails while all routes from the top of Timber are advanced and technical, with rocks, roots and drops on the riding menu. The base area at Fernie is also integrated with the region’s extensive X country trail system, with pedal-from-your-condo or hotel access to many trails linking the resort to Mount Fernie Provincial Park and beyond. 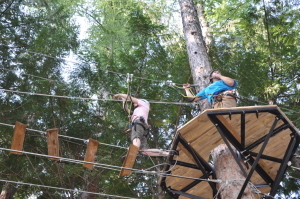 Near the base area you’ll find more fun for kids and adults, with a 500 foot long zip line that has you soaring through the air with the birds, and a skill and balance-testing Aerial Park with cool features like the Rickety Bridge, Shrinking Islands and Picket Fence. There is something special about Fernie and the Lizard Range. Skiers and boarders have been drawn by the legendary powder for decades. However in summer, it’s equally special. The mountains, made accessible by chairlifts, take on a different character. Rugged ridges, meandering trails, cool forests, and colourful meadows – it’s a place that inspires you to get out and explore, on two feet or two wheels. Take your pick. Confession – before my wife and I had kids I would walk across a few football fields of parking lot to get to the lifts if it meant my efforts would be rewarded with fresh tracks. However now that I have a family, the expression “ski in-ski out” has the same dreamy connotations for me as the words “free beer.” Except unlike the latter, ski in- ski out actually exists. It took me just a couple of trips across the ski resort parking lot, with multiple pairs of skis stacked in my arms like firewood, while coaxing kids with promises of hot chocolate before even completing a single run, to truly realize that the way accommodation is situated in relation to the lifts can make a huge difference to the quality of a holiday at the ski hill. 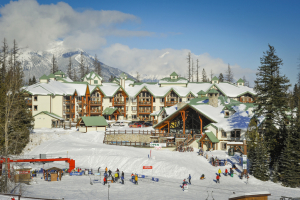 That’s why, Fernie Alpine Resort got it right when they designed and developed the chalet style Lizard Creek Lodge, one of the first luxury boutique ski-ski out lodges in Fernie when it first opened in 2000. The Lizard is convenience defined. 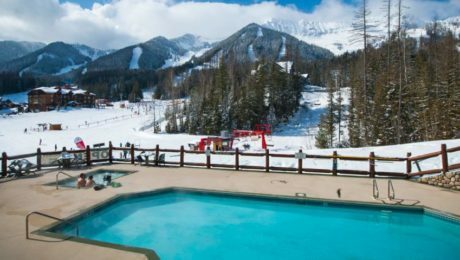 If you want, you could soak in the lodge’s outdoor hot tub and almost carry on a conversation with a friend about to board the Elk Chair a few ski lengths away. That’s how close and convenient Lizard Creek Lodge is to the action the slope. The lodge’s legendary great room is undergoing a transformation for this season, that will retain the space’s warm mountain aesthetic but with the added touch of an ice lounge and sushi bar. 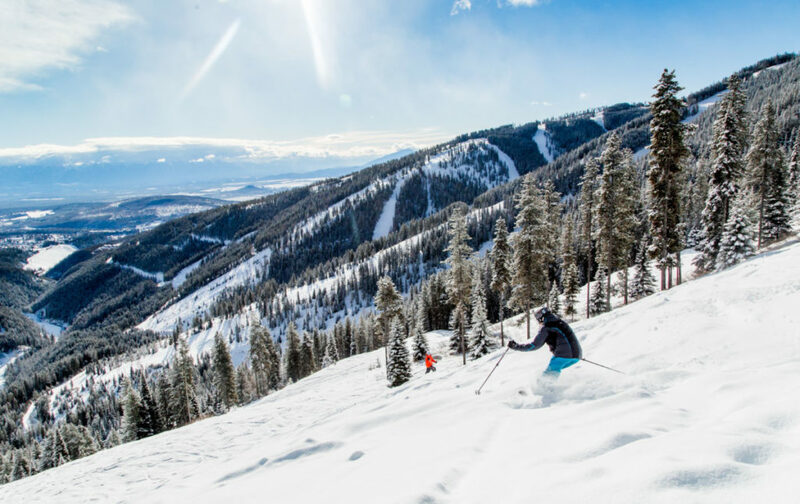 Ski in – ski out also defines the aptly named Slopeside Inn near the resort plaza, and the Thunder Ridge Chalets, beautifully arranged in wooded settings next to the Elk Chair. 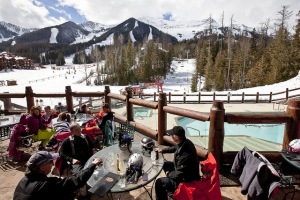 And if you want an extended lunch or mid-day beverage, slide to a stop at the base area’s Mountain Plaza, warm up in Kelsey’s On The Mountain or polish the tables with the sleeves of ski sweater at the hallowed Griz Bar. Afterward, click into your bindings and slide down to the lift and hop on, or to the door of your lodge. It may seem like a small detail, but it’s one that counts. At Fernie you want to leave it all on the slopes, whether it’s exploring powder lines and steeps in the resort’s five Lizard Range alpine bowls, or lapping top to bottoms with the kids on the Elk Chair – after all who wants to schlep across parking lots, with tired kids in tow, when you can ski in and ski out. Words that are magic to any family’s ears. 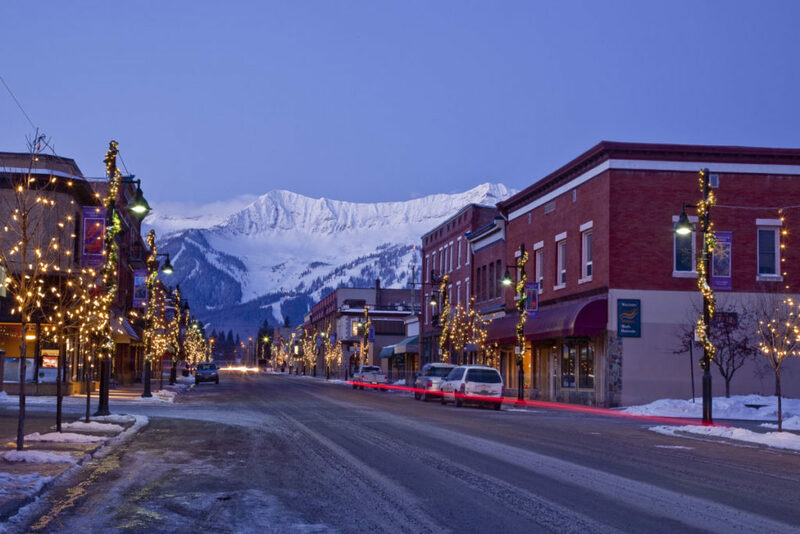 If you could design the perfect ski town it would look like Fernie. 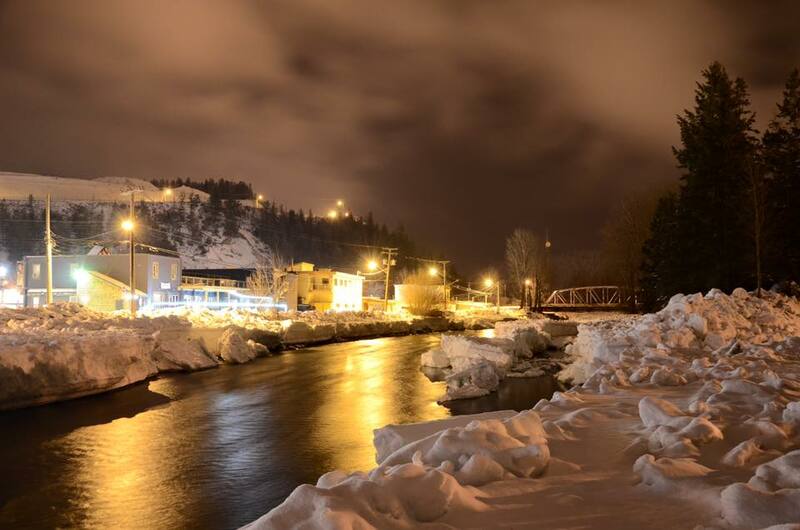 Except Fernie, tucked into the mountains of southeastern BC, comes by its charm naturally. Brick and wood heritage buildings, which hearken to the town’s rich mining history, line inviting downtown streets where boutique cafes and gear shops reveal Fernie’s modern incarnation as a ski and outdoor paradise. 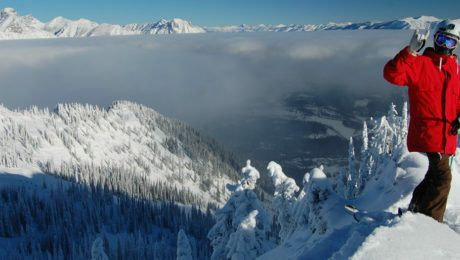 Gaze south from the town along the Elk River Valley and you’ll be dazzled by the tantalizing five-pack of alpine bowls – Siberia, Cedar, Timber, Currie and Lizard – that unfold from the rugged Lizard Range and comprise the diversity of terrain that makes Fernie Alpine Resort a bucket list item for skiers from around the world. Ten lifts service 10 square kilometres of terrain with a vertical drop of nearly 1100 metres, and home to an astounding 142 named runs. That doesn’t even include the dreamy glades and secret tree skiing stashes too numerous to be known by anything other than local names. And then there’s the snow. Nature pays special attention to the legendary Lizard Range, a magical piece of geology that puts the lie to the claim that it never really snows in the Canadian Rockies. 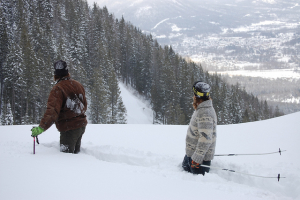 Fernie Alpine Resort boasts by far the deepest snowpack of any ski area in the Rockies, with an average nine metres of annual snowfall. 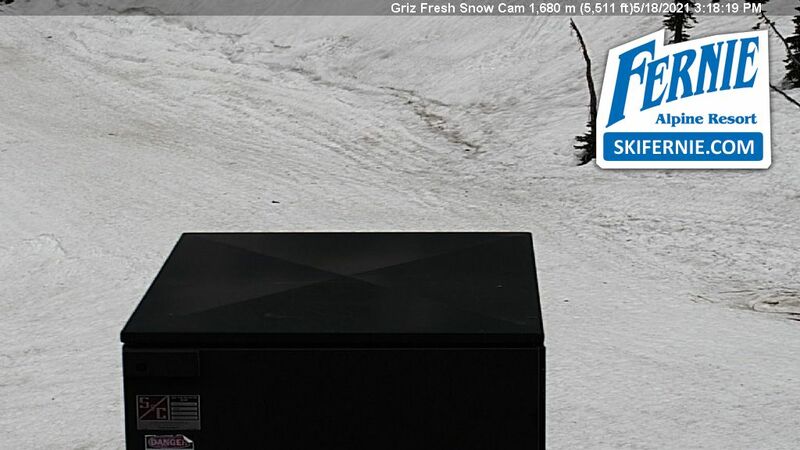 From my home on the West Coast of BC, I’ve monitored Fernie snow reports over the years with the intense envy that only numbers like “-10C” and “30 cms of fresh” can induce in a ski bum like me. View of the Elk Chair & Plaza from Lizard Creek Lodge. rehearse your favorite lines from Hot Tub Time Machine (in 2009 Fernie was temporarily transformed into a 1980s ski resort for the filming of this John Cusack sci-fi comedy classic.) On those days when the family needs to rest the legs, or simply wants the afternoon off, you can hop in the car and in 15 minutes be strolling along main street Fernie, perusing for deals in the ski and outdoor shops, or enjoying an espresso or gelato at the Beanpod. Or perhaps the adults will sneak away for a craft brew tasting at Fernie Brewing Company on the outskirts of town. 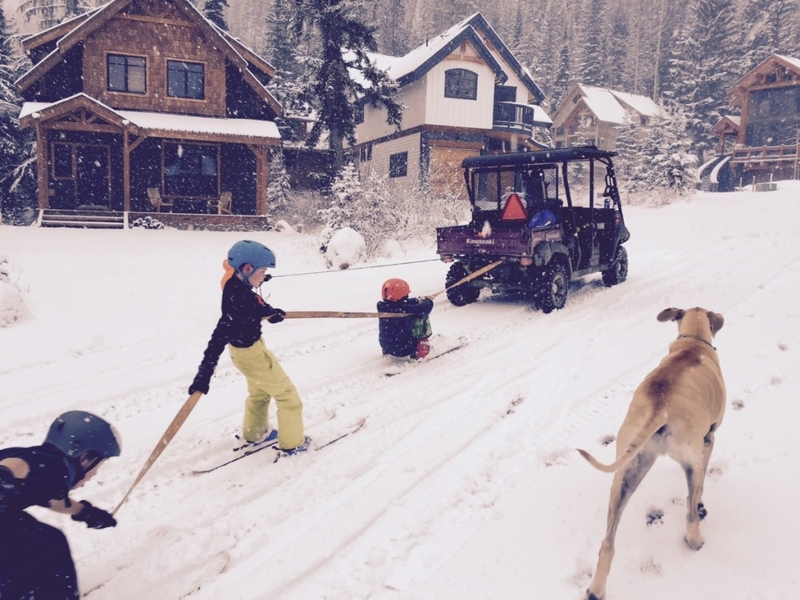 There’s a synergy in the Elk Valley that brings skiers and riders back time and time again. Fernie Alpine resort and the historic town of Fernie don’t compete for the visitor’s attention; they complement one another, and enhance the experience of skiing at a world class resort and soaking in the ambiance of an authentic mountain town with a long history of skiing and adventure. Snow? Yep. Real Mountain Town? Check. Powder Alert? YES! 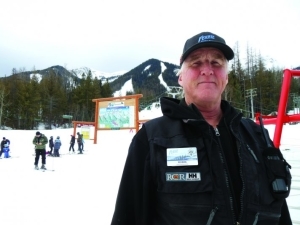 Robin Siggers discovered Fernie some three decades ago long before someone conjured up that delicious sounding term Powder Highway. The Vancouver boy never left. 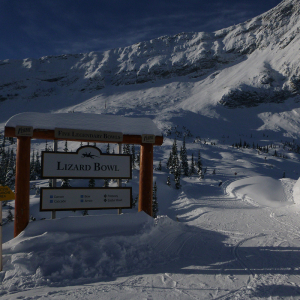 It’s a Thursday afternoon, and I’m following Siggers as he drops into Corner Pocket, a spicy little couloir that squeezes into wide open Lizard Bowl, one of five bowls at Fernie Alpine Resort. The couloir features a fixed rope allowing people to hand line down the steep, often wind polished entrance that always gets the adrenaline pumping. Siggers goes first. He holds the rope, does a side slipping abseil to where the chute opens up. He releases the rope and after a trio of tight jump turns, exits the couloir then waits for me in the lee of a vertical limestone cliff that trims the bowl. This guy clearly loves skiing. As operations manager he probably bags more days on snow than an airline pilot logs time in the air. 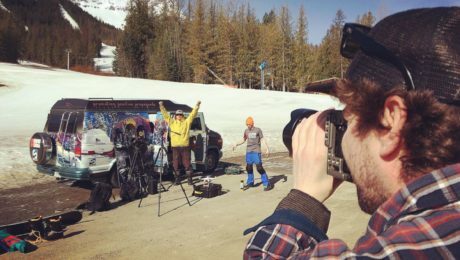 He loves skiing so much, that he’s out here today, on his day off, shredding like a 25 year old with a bunch of visiting writers. For the already initiated, the Powder Highway needs no introduction. 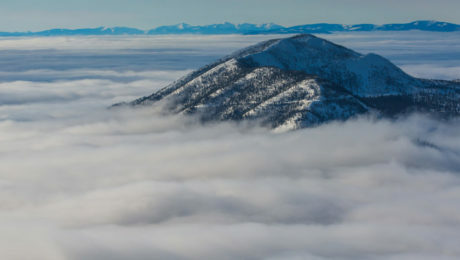 For the uninitiated, think of it as the place in British Columbia where you go to realize your skiing dreams, where the terms steep and deep are more than just platitudes on a brochure or website – they’re real, very real. Nature pays special attention to this corner of BC, a province already blessed from a snow sports perspective. As winter weather fronts march east from the Pacific Ocean, they discharge moisture on the rugged Coast Range. By the time these systems hit the Columbia Mountains and western slope of the Rockies, they have recharged with moisture from interior lakes. Snow falls again, this time in dreamy, fluffy, feather-light quantities. There are no guarantees; it’s weather after all, but the odds are on your side when you travel the Powder Highway. 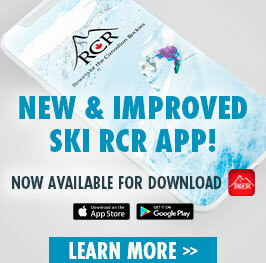 The ridiculous variety and concentration of world class destination resort, cat, backcountry lodge and heli skiing operations is a testament to the riches. Skiers are smart this way. Like Robin Siggers, they go to where the goods are. You’ve probably heard about the Powder Highway, and it’s now lodged in your brain. It won’t go away, so it’s time to act. 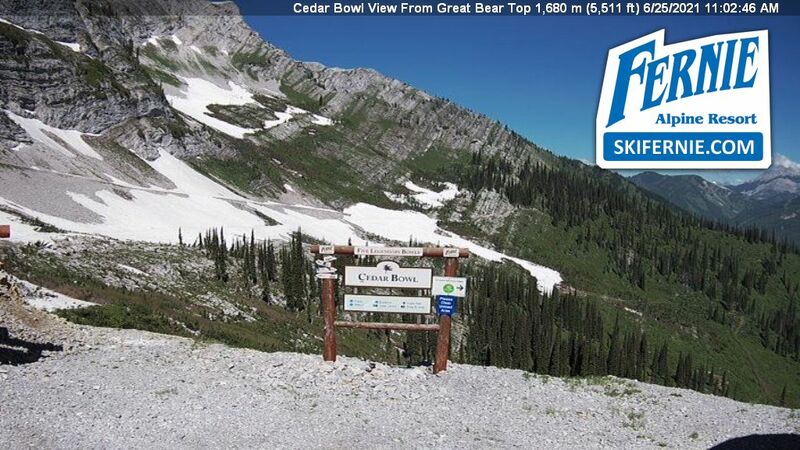 Consider Fernie Alpine Resort and Kicking Horse Mountain Resort the southern and northern bookends to your Powder Highway road trip. 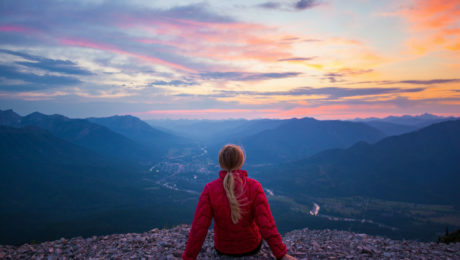 Fernie overlooks the charming town of the same name, tucked into the Lizard Range, a magical piece of geology that puts the lie to the claim that it never really snows in the Canadian Rockies. 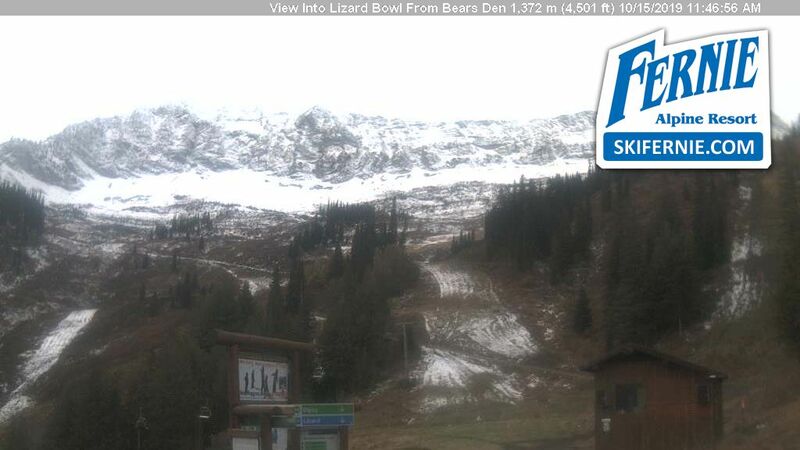 Here, where the craggy Lizard Range sits perpendicular to the normal north-south axis of the Rockies, intensely local weather systems re-circulate over the mountains often dumping coastal quantities of snow on the resort’s array of wide open bowls, chutes and long meandering tree runs. 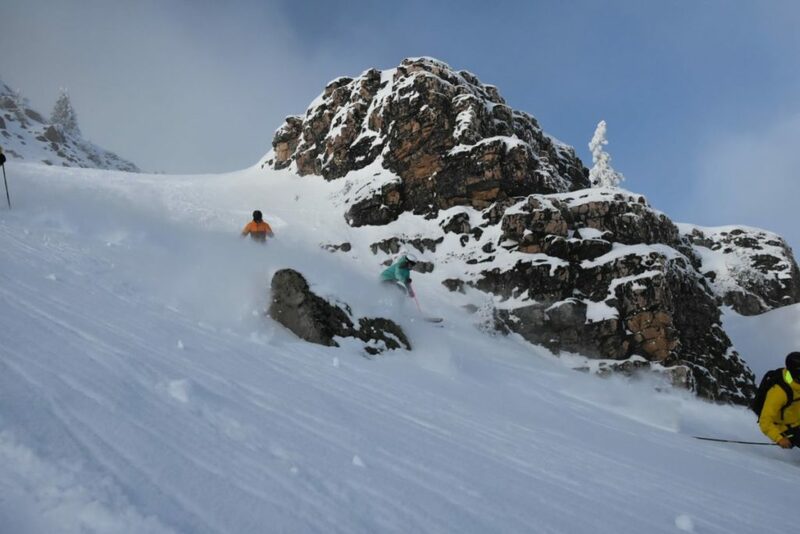 By the time, you’ve zig zagged your way up Kootenay back roads and Columbia Mountain valleys, legs feeling fit and acclimatized to Powder Highway vertical, you’ll arrive on the western side of the Rocky Mountain Trench at Kicking Horse Resort. This is where you’ll get your game on – again. As you ride up the Golden Eagle Express gondola your eyes will scan the bony ridges that cut the Dogtooth Range, and divide the Kicking Horse into four main zones of downhill fun. Top to bottoms at Kicking Horse are legendary. Stack a few of these 1,260 meter vertical back-to-back and you’ll have no problem sitting at the Eagle’s Eye restaurant and tucking into a lunch of Elk Bourguignon or some good old Alberta beef. Or perhaps you’ll make dinner reservations at this peerless mountain-top dining room. You’ll watch the moonrise, and the first stars twinkle over the surrounding peaks. Or perhaps snowflakes falling in the amber glow of the outdoor lights. You’ll dream of the Powder Highway and when you’ll come back. Once experienced, never forgotten. Just ask Robin Siggers.